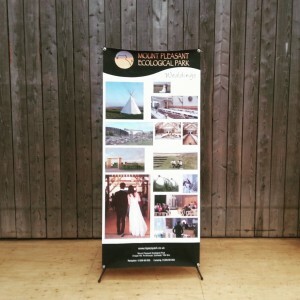 We print banners for promotions and exhibitions, or for people wanting to make a BIG statement. We print on tough vinyl, tyvek, canvas or paper. Vinyl and tyvek are suitable for outdoor use for several months in the rain and sunshine. Vinyl is also great for roller blinds. Print sizes up to 1.1m wide by 4m long! 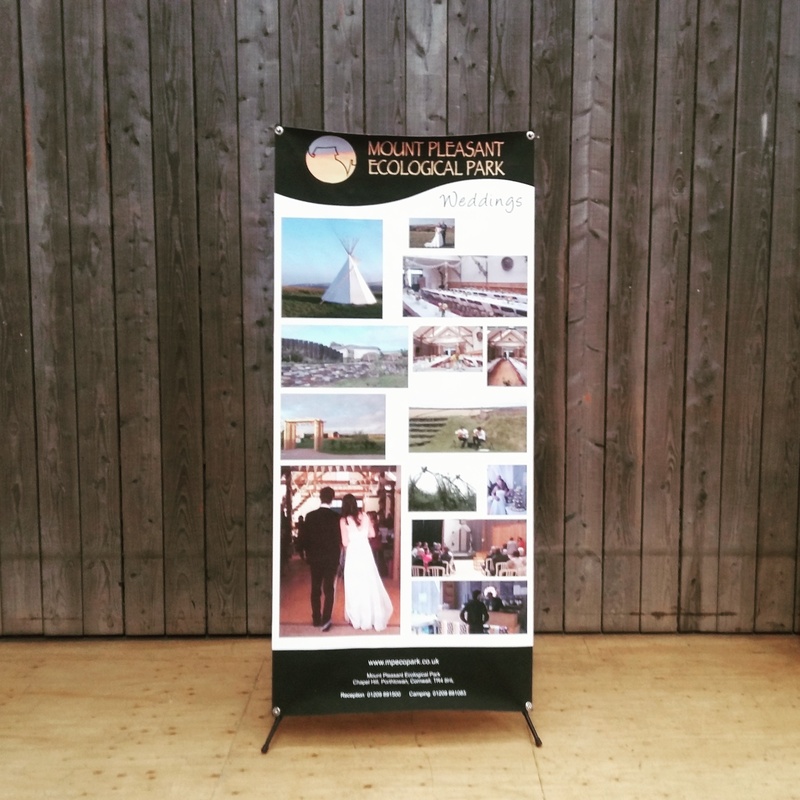 Pictured is a completed exhibition stand, 180cm by 80cm. These beauties fold into a carry bag just 95cm long weighing less than 1kg. Cost is £75 complete. Optionally they can be back-projected for a dynamic show of promotional video or presentation.